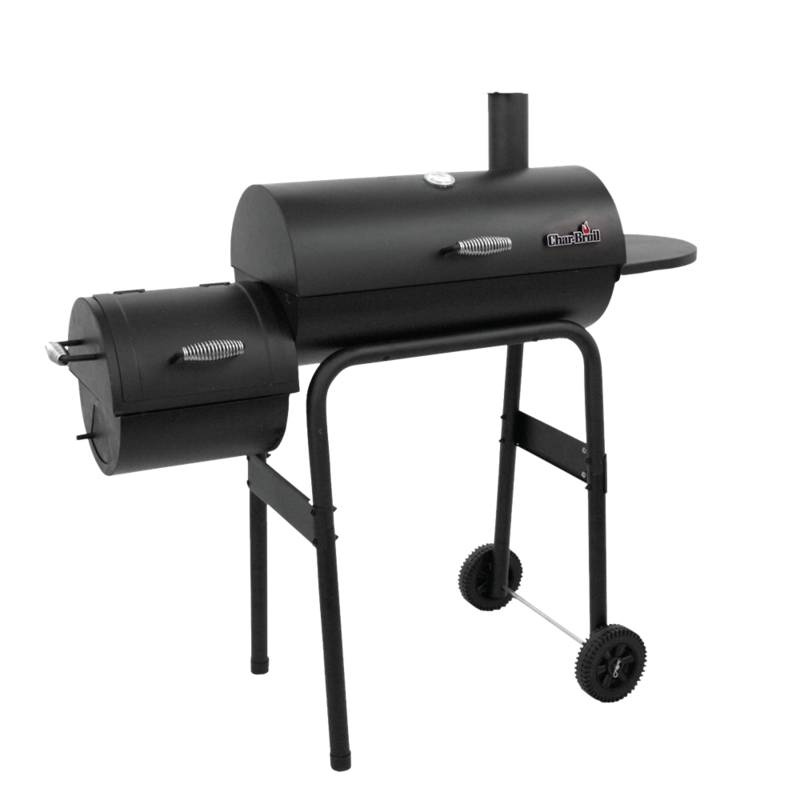 The Offset Smoker from Char-Broil® will get you smoking and cooking low and slow. 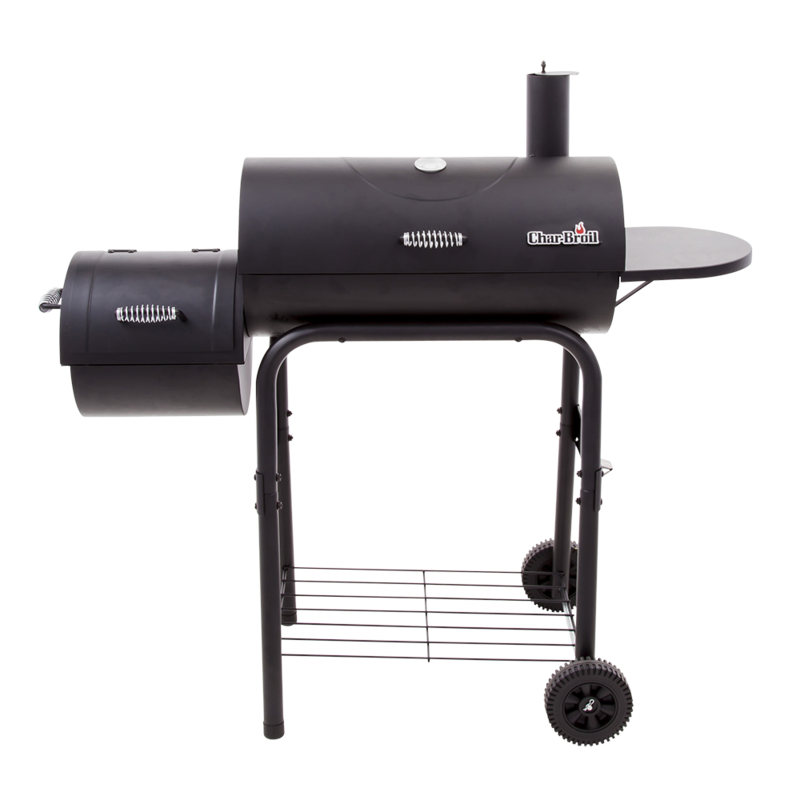 It features a vertical pipe smokestack with adjustable dampers, a temperature gauge and an offset firebox to stoke the fire without losing heat. 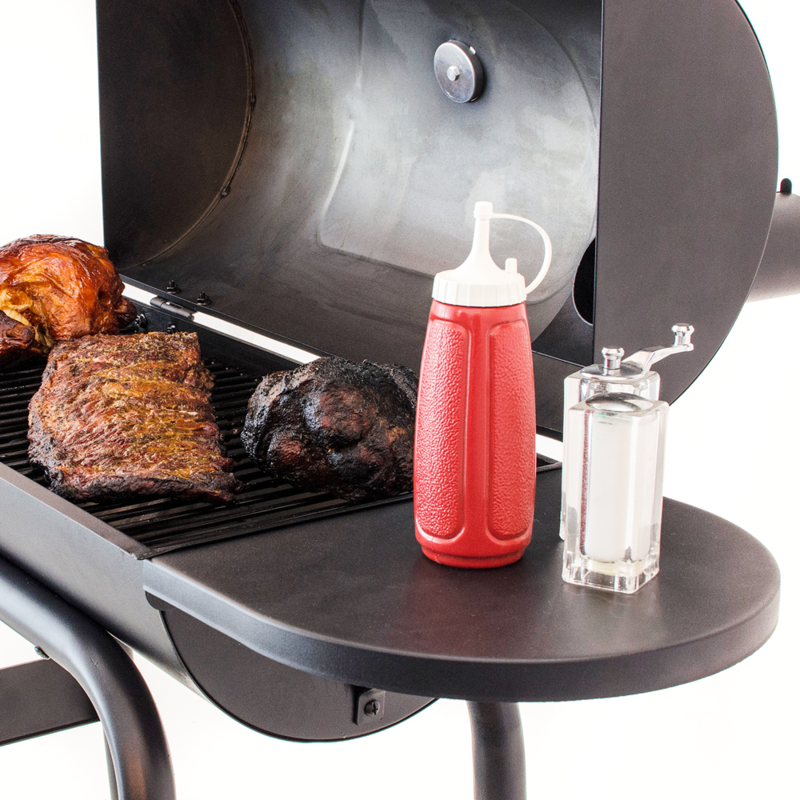 It also features porcelain-coated cooking grates for easy cleaning. 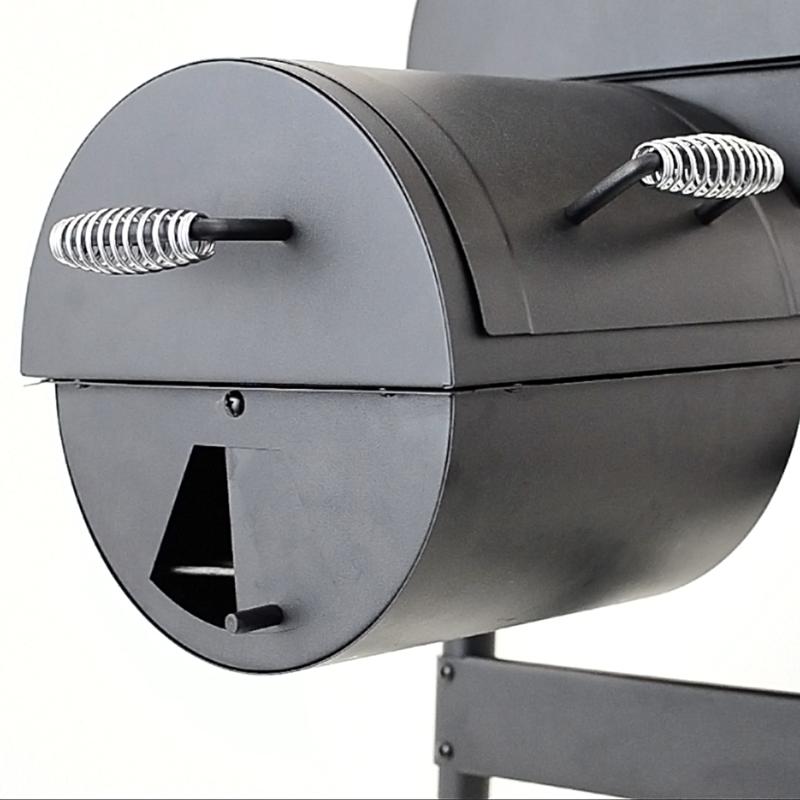 Want to move the your smoker easily? 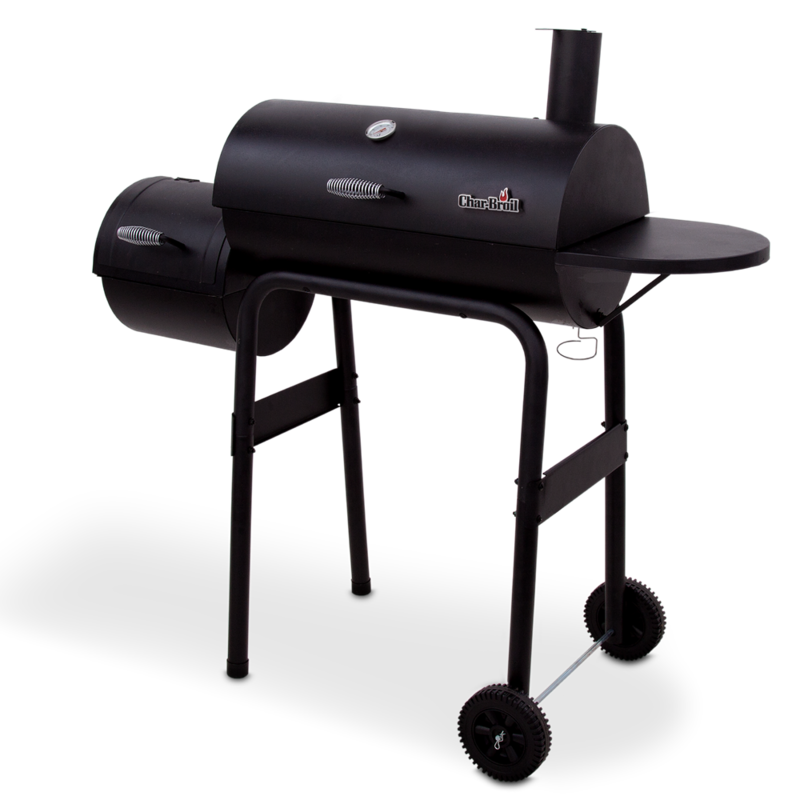 Just use the cool touch handles and wheels.